Live music this Saturday! We love an excuse to have a bit of a bash, so we’re making this second May bank holiday something of a mini music festival with not one, but TWO amazing live acts. 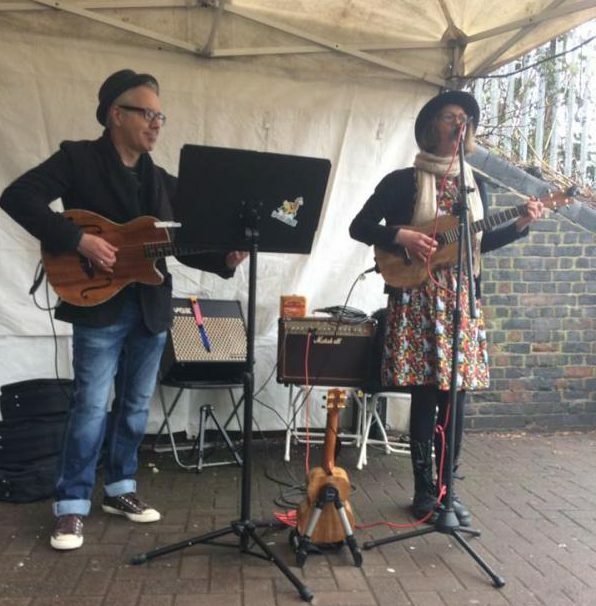 Lou and Pete from Levenshulme’s own wonky folk/jazz/indie-pop band Lou and the Llamas take to the stage for a special set from 12pm, complete with ukeleles and catchy ditties you’ll be humming all day long. Take a peek at their website for more info about Lou and the Llamas, and follow the band on Twitter. musicians from Manchester-based African drumming group Jamtan Drumming will be performing their own Fula/Malinka interpretation of music originating from Guinea Conakry, West Africa. PLUS, they’ll be giving you the chance to join in! So, if you’ve got rhythm or perhaps just some spare energy to bash out, bring the kids along and spend Saturday afternoon drumming up a storm. Find out more about the group on their website, and see what they’re up to on Twitter. 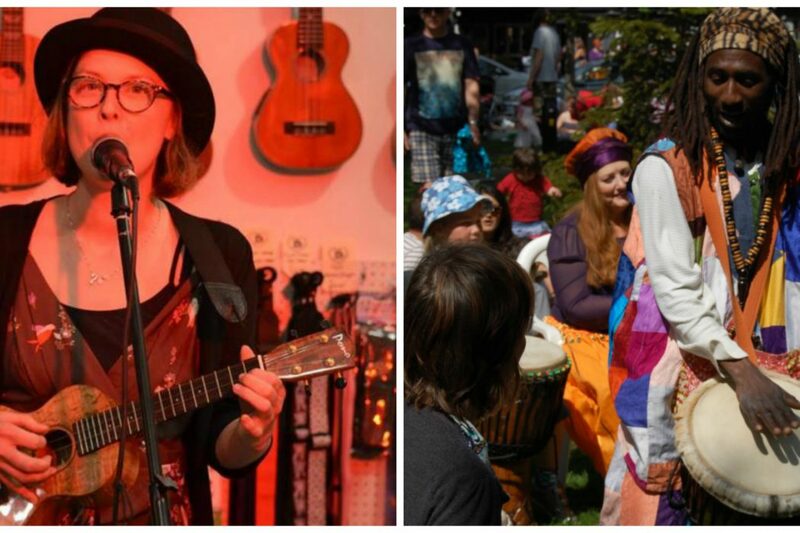 It’s shaping up to be a fantastic start to the Bank Holiday weekend, with all this fab live music and a truly excellent line-up of traders. We’ll see you there, bright and early!